About the cattery » Abyssinian cattery "ASCHI"
We invite you to visit our specialized Abyssinian cattery. If you want to have a playful Abyssinian kitten “with proactive attitude” which will definitely become an intelligent, smart, and graceful male or female cat, it will be more safe to buy it in a cattery because such kittens are already adapted to a new home. Once we saw these sunny animals and fell in love with them forever. They inspired us to organize the specialized cattery because we set heart on breeding Abyssinian cats and keeping them purebred. These wonderful creatures are able to give their owners positive emotions and energy boost and be the true friends. 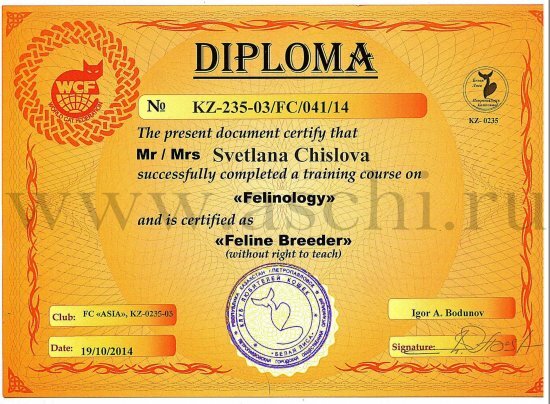 We have decided to organize a monobreed cattery, i.e. to deal with the only one cat breed. 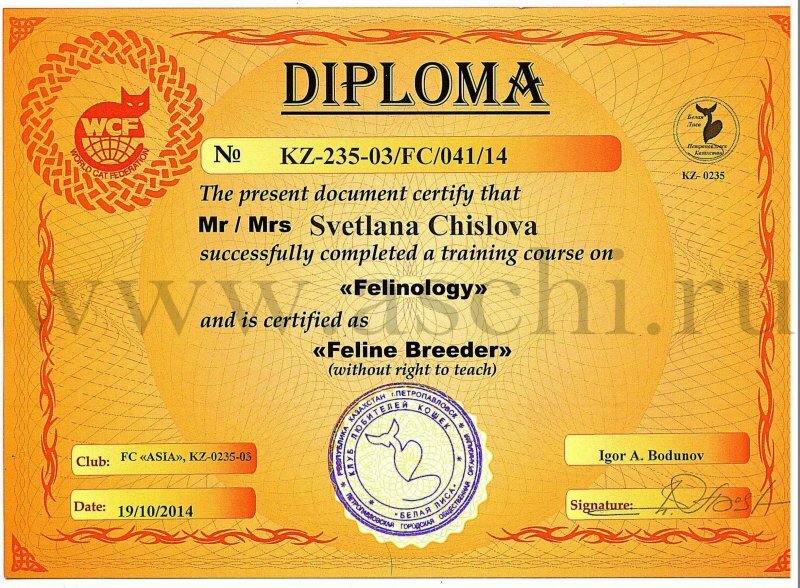 After a few year of work we understood that, firstly, this is our true vocation, and secondly, breeding and maintaining the breed of Abyssinian cats is an exciting process. The most important thing for us is to breed healthy generation with an extraordinarily cheerful and positive temper of Abyssinian cats and, of course, to improve this breed as much as it is possible. We have always tried and are going to continue keeping their royal grace, temperament, curiosity, and tact. We are engaged in only one breed of cats, and our cats are registered in the american system CFA, which guarantees the pureness of the Abyssinian breed in over 8 generations of animals. All our animals are tested for genetic diseases in the USA laboratory. We regularly participate in shows proving the cats breed qualities.